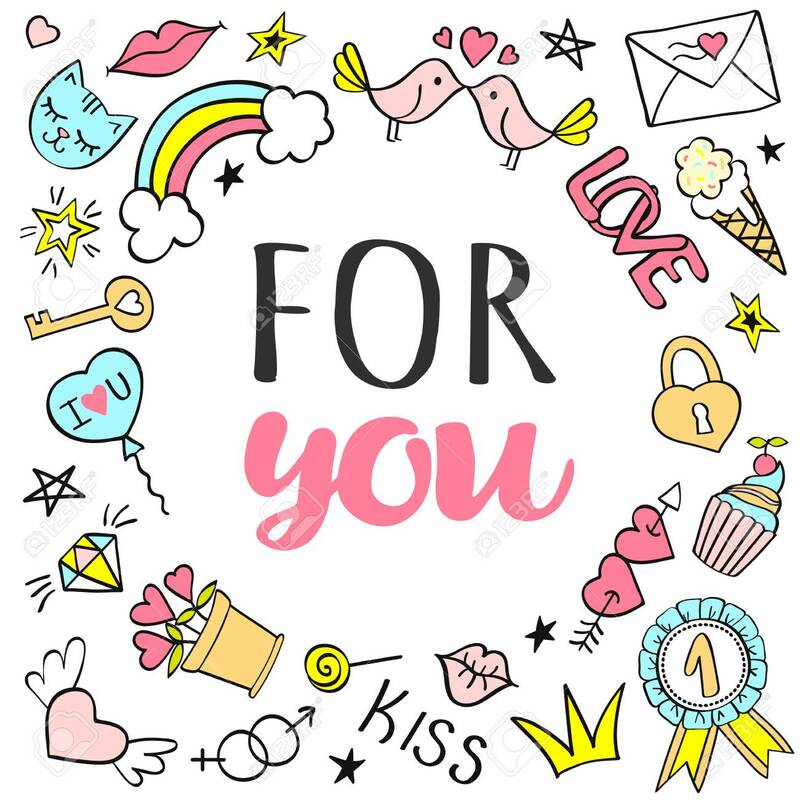 Greeting Card, Poster With For You Lettering And Hand Drawn Girly.. Royalty Free Cliparts, Vectors, And Stock Illustration. Image 99950290. Vector - Greeting card, poster with For You lettering and hand drawn girly doodles for valentines day or birthday. Greeting card, poster with For You lettering and hand drawn girly doodles for valentines day or birthday.